Bill has over 35 years of experience handling complex environmental, energy and land use matters for clients throughout the United States and internationally. His clients include: electric and gas utilities, biotechnology companies, real estate developers, renewable energy companies and major airports across the country. He has testified in Congress on environmental legislation and has published widely on environmental law topics. Bill’s recent pro bono work for Oceana resulted in a historic ruling invalidating six offshore oil leases in Belize that threatened the world’s second largest barrier reef and helped earn Anderson & Kreiger a 2013 award for Excellence in Pro Bono from Massachusetts Lawyers Weekly and the Massachusetts Bar Association. He joined Anderson & Kreiger in 2006 from Palmer & Dodge. Represented Excelerate Energy in the permitting, construction and operation of a major LNG port off the coast of Massachusetts, including coordinating the successful effort to obtain dozens of local, state and federal permits. Represents National Grid on permitting major infrastructure projects including helping Grid successfully obtain state and federal permits for a new 32-mile electric transmission line in Massachusetts and Rhode Island. Defends one of the world’s largest chemical companies in a major Superfund site in Florida. Advises airport owners across the country on environmental matters, including the expansion of the Salt Lake City International Airport. Lead the legal and engineering team that successfully obtained dozens of federal permits for several major coastal infrastructure facilities in Puerto Rico. Served as legal advisor to the Royal Government of Bhutan on environmental matters and judicial reform. 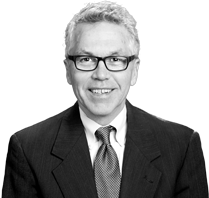 Bill has published numerous articles on environmental and land use matters in Harvard Environmental Law Review, Ecology Law Quarterly, Maine Law Review, Massachusetts Law Review, Technology Review, and other publications. Bill is an avid cyclist, who regularly participates in the bike race up Mount Washington and was on the winning team of the race across Bhutan (see the Yahoo! Sports article on Bill’s involvement in The Craziest Bike Race on Earth). Bill’s civic involvements include serving on the Board of the Environmental Business Council of New England and the Smith Leadership Charter School, which serves underprivileged middle school students (former board chairman).